We are a Global, full service, Sales Rep firm, and Business Development agency; providing exceptional support to the finest brands in Consumer Electronics. We strive to delight our customers in everything we do – exceeding their expectations and adding value to their brand, globally. 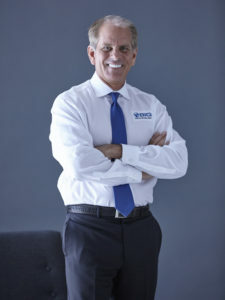 BIG was founded by Pete Baker, a dynamic global sales and marketing professional with decades of experience successfully maximizing product sales and driving revenue growth in the custom electronics industry. Mr. Baker began his career as an integrator, accumulating vast experience in front-end system design and sales, back-end operational management, in-field installation, programming and project management. He has worked on thousands of systems and was the founder of Custom Home Integration, a leading installation firm that he sold in 2006. We have the experience and understanding of the Global markets and the CI channel to develop and execute a winning strategy for your brand. With over 30 years of industry experience, BIG has the knowledge, technical understanding and skills to deliver the most effective and comprehensive Sales experience for your brand. BIG understands the International markets, and how to create and deliver the most impactful message about the brand to the regional audience. Add BIG to your team as a consultant for a specific project: long or short term, and you will gain 30 years of industry experience to fuel further success with your business. As a CEDIA Subject Matter Expert on Control and Automation and a veteran in the CE industry, Pete Baker has contributed many articles to publications worldwide on various subjects. Contact us today to discover how we can help develop your brand and expand your global footprint. “I have worked with and for Pete for several years and consider him one of my mentors. Pete’s ability to build long term relationships, find new markets, grow the business and turn issues into opportunities are just a few of skills I admire Pete for. Mostly, I respect him for his leadership and ethics. “… Pete is a hands-on, technical sales professional , with tremendous knowledge of our industry. Pete’s international experience in the CI channel covering sales, marketing, business development and training were very instrumental in the success we achieved in the UK with the brands he represented. “I have had the great pleasure to work closely with Pete Baker over the past decade. I have witnessed his talent and abilities in sales, marketing, and international business development. Pete has achieved success at everything he puts his mind to, and it does not happen by accident. He carefully works with his industry partners to define a strategic road map to success and then executes the plan with great precision. “Pete has great knowledge, enthusiasm and passion for the CE Industry. He is an expert at qualifying customers with critical listening skills and extremely committed to servicing his customers best interests. The BIG Corp is a business accelerator! Not only did he teach us how to “Think BIG” he led the transformation of our ambitions into reality. He exceeded our expectations by expanding our vision, accelerating our business, and establishing global distribution, to a level that would have taken us much longer to reach. But more than a business man, Mr Baker is a professional with sensibility, charisma and experience that make him a partner you want on your team. “Pete Baker is a visionary business professional and master at International Sales. Although he resides in North America, he has global experience and Thinks BIG, from a worldwide perspective.